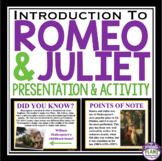 ROMEO AND JULIET INTRODUCTION PRESENTATION:If you are teaching Romeo and Juliet and you don't know where you begin, this presentation and activity are a great way to kick off your unit! 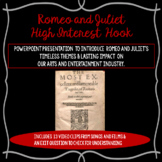 ================================================================SAVE BY PURCHASING THIS RESOURCE IN A UNIT PLAN. 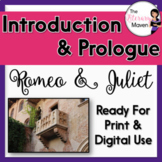 Romeo and Juliet Introduction and Prologue : Activity, Video Clips, More! 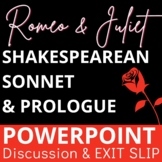 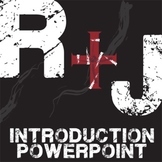 This is a Smart Board COmpatible PDF that introduces students to Romeo and Juliet. 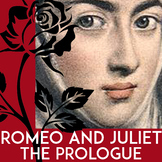 It introduces the idea of star crossed lovers and makes comparisons that the students will be familiar with. 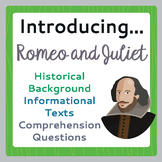 It also introduces Shakespeare, and tragedies. 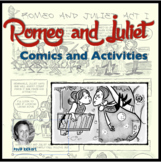 This a powerpoint that includes play notes, a picture activity, and background information. 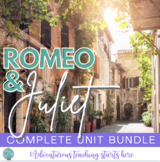 It accompanies the Romeo and Juliet unit. 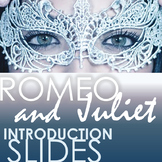 Romeo & Juliet Introduction Slides - Google Compatible - Grades 7-12!